Along with the above mentioned three stars, Prabhu, Raadhika Sarathkumar, Baby Nainika, Santhanam, Rajendran, Kaali Venkat and others have portrayed some important supporting roles. GV Prakash Kumar has given splendid music to its songs. GV Kumar has given beautiful music to its songs. Some of its songs like “En Jeevan,” “Eena Meena Teeka,” “Chella Kutti,” and “Raangu” have become chartbusters. A day before its release, several foreign nations had witnessed its premier shows where it was reviewed by some selected personalities and celebrities (celebs). 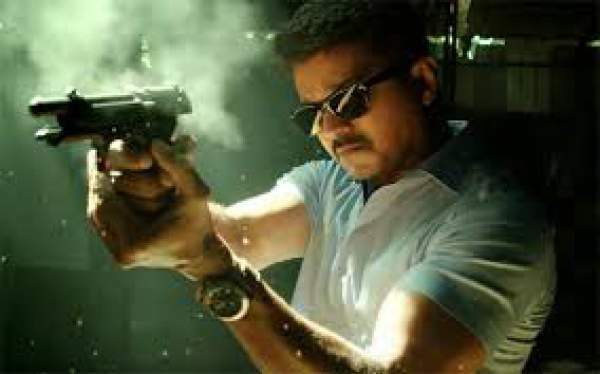 Theri is a Tamil action movie made to deliver a social message. It emphasizes the importance of raising our children well by all means so that they would be responsible citizens of the nation in future. The film has a lot of emotional and action scenes. Thus, it can satisfy all kinds of audiences. Vijay portrays the character of Joseph Kuruvilla, Vijay Kumar, and Dharmeshwar in the flick. One of them is a role of a cop. Samantha will be seen as his wife Mithra who is a doctor by profession. Malayali teacher has been portrayed by Amy Jackson while KS Ravikumar and Raadhika Sarathkumar has played the roles of Vijay’s father and mother in the movie. Theri trailer and teaser have already impressed the audience and left an unerasable image on their hearts. As a result, the cinema lovers have high hopes from the talkie. As of now, Theri is running in the premier shows in Malaysia and Singapore. Below is what the premier show goers have tweeted on the Twitter about the Tamil movie. Radhika was fab, Nainika picture perfect, Samantha good , Rajendran indeed a rockstar. JimpaMUFC posted: Just finished watching #YennaiArindhaal part 2..oops sorry #Theri. Too sentiment and less action..doubt it’ll satisfy even VJ fans. #Theri – transformation scene of Joseph Kuruvilla is Rotfl worthy. Predictable story and too long first half. #Theri – A star is born. That is Baby Nainika. Another plus is dialogue. These two the only plus point sadly. Verdict of #Theri – one time watchable for fans. Forget it if you’re a neutral! #Theri, very sorry. TRT gives it 6 out of 10 stars. Have you seen it? What’s your Theri movie review? Share it. Theri therikkuthu. Vijay rocks. Its a family entertainer mass movie. It’s going to be super duper hit..
Theri is an Entertainer. Treat for Vijay Fan’s. Even though the Direction is good no freshness in the story. I saw more than 50 films on same kind of Stereo typed police stories. Old wine in new bottle. Producers are still not open to new stories.